Kerkdriel, the Netherlands – The ‘Harry’ family from Jan Hooymans and right hand man Piet Broeders made itself heard again last week. The release from Blois was postponed for two days until Monday 24th June. This wasn’t too bad for Jan and Piet (situated in the first drop at 548 kilometers), because the wind changed direction and it became a race in which the pigeons had to work hard. And that is when the ‘Harry’s’ are in their element! 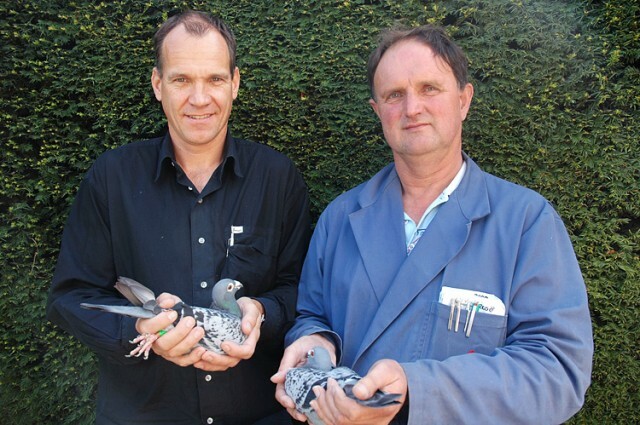 The winning pigeon had a speed of 1,295 m/m and is a son of top breeder ‘Mario’ (a direct Vandenabeele) x a full sister of the ‘Harry’. 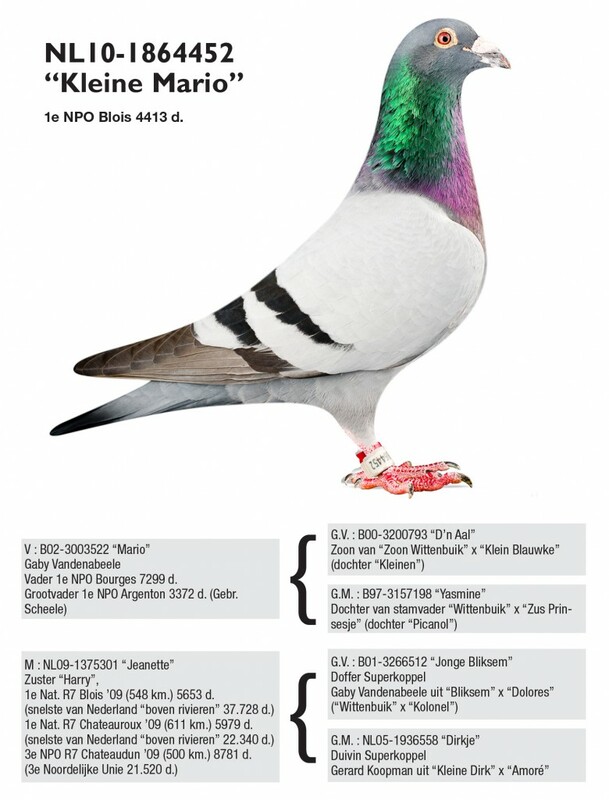 The second pigeon, almost five minutes later and still good for a 6th place and a listing on teletext, was a one-year old hen, directly out of the miracle racer ‘Harry’ x ‘Last One’ (Jan & Rik Hermans out of their basic couple ‘Jaarling Dondersteen’ x ‘Janssen Duivin’. She is also already mother of among others the 12th National Bourges 24,676 pigeons and grandmother of several top racers. Another five minutes later the third hen returned. She is also out of a sister of the ‘Harry’, this time coupled with ‘Zoon Generaal’ (Horst & Frank Sander) and a full sister from the ‘Puch’ (car winner in the Million Dollar Race). After that, things speeded up and in 10 minutes time, another six pigeons were clocked, which brought the end result to 1st,6th,13th,22nd,24th,34th,44th,45th,56th and so on in the NPO Blois against 4,413 birds (43/90). The next mission is the national race from Chateauroux next weekend. Who knows, maybe a new ‘Harry’ will rise!